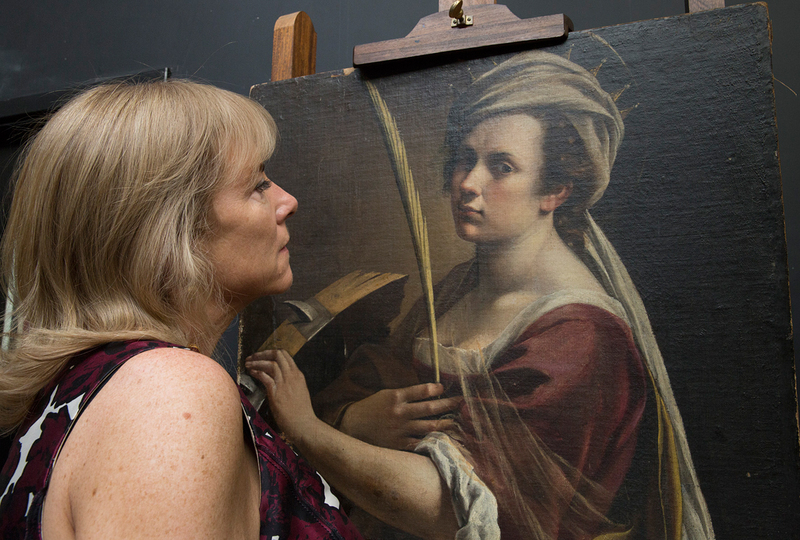 A recently discovered self-portrait by Artemisia Gentileschi, the celebrated Italian Baroque artist, has been acquired by the National Gallery in London for £3.6m. The work made headlines last year when it set an auction record for the artist. Sold unframed at a sale held by Christophe Joron-Derem at Drouot in Paris, it made €1.85m (£1.63m), surpassing the previous recorded high from 2014 of €720,000 (then £626,085). It was bought then by London gallery Robilant + Voena, from which the National Gallery has now acquired it. 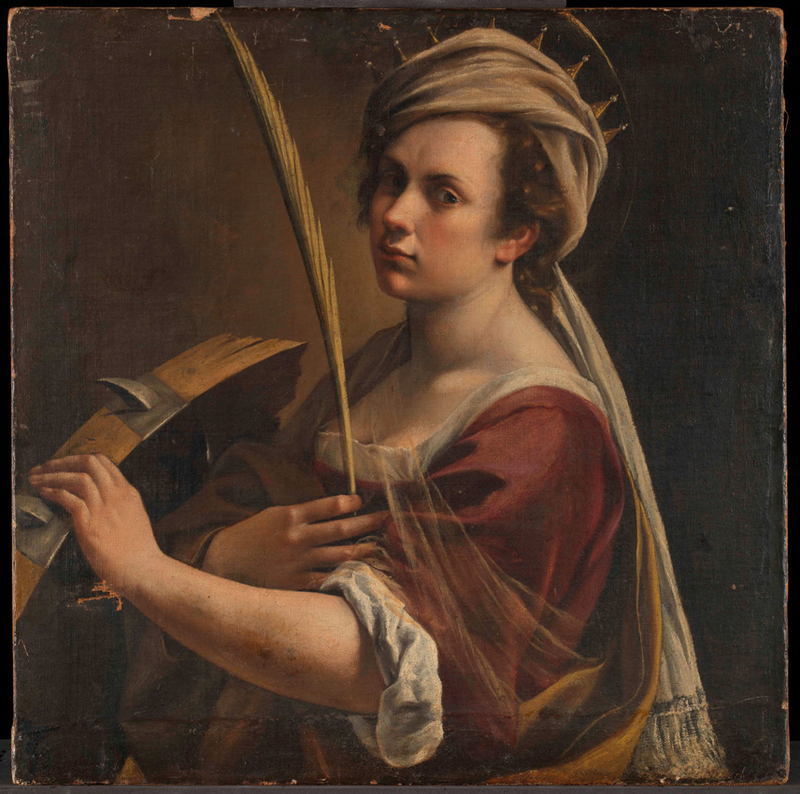 The oil shows the painter as St Catherine of Alexandria and was completed c.1615-17. The tightly cropped composition shows a female figure turning towards the viewer, her left hand resting on the top of a broken spiked wheel, the symbol associated with St Catherine. Purchase was made possible by $3.7m (£2.7m) from The American Friends of the National Gallery, London, and other funds from sources such as The National Gallery Trust and donations from gifts and wills. A further £250,000, given by the Art Fund through the legacy of Sir Denis Mahon, will go towards the painting’s conservation to be undertaken before it goes on display in early 2019. The London National Gallery’s acquisition of the portrait is part of an open effort to increase its holding of works by female artists. Of the roughly 2300 works in the National Gallery Collection, 20 are by women. An additional four are on loan to the gallery. Hannah Rothschild, herself the first woman to chair the gallery’s Board of Trustees, called Gentileschi “one of a handful of women who was able to shatter the confines of her time. She overcame extreme personal difficulties to succeed in the art of painting. Gentileschi is revered in part for her role as a female artist working in the male-dominated society of 17th century Rome and Florence, but has received increasing recognition for the quality of her work in recent years. Of the 60 or so paintings attributed to her, the majority feature a strong female heroine, and many of her works have been read as having an autobiographical edge. This is particularly the case for the paintings she produced in Florence from 1612-20 in which she repeatedly uses her own image, perhaps as a vehicle for self-promotion. Another portrait by Gentileschi of Antoine de Ville was on offer at Robilant + Voena as part of London Art Week, which concluded yesterday.